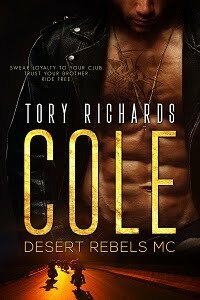 TORY RICHARDS: I'm in love! Magic Eraser where have you been all my life? LOL While shopping at home depot yesterday I picked up a box. I'd heard about it and several girls at work have mentioned it so I thought I'd give it a try. Wait till I tell my daughter, she'll love it too! She's a cleaning freak like me. Anyway, I used one this morning while doing my weekly clean in the kitchen. Wiped down the cabinets with it in stead of the usual Clorox wipes. Wow! It was amazing how much dirt came off and I thought my cabinets were clean. They're kind of creamy in color. On top of that it left my cabinets brighter. Can't wait to use one in the bathrooms, which have the same creamy cabinets. My daughter swears by them. She's been using them for a couple of years. Smart daughter, Linda. If you haven't tried them you're missing out. All you have to do is wet them with water and go! Saving them? Life's too short for that my friend:) Use them! My friend at work said they're good for removing handprints off walls and doors, too. Just wet them with water and clean. Let me know how it works in your tub.